Water changes are an important part of koi pond management, especially when ammonia or nitrites are polluting your pond. One reason for that bothersome chemical build-up is evaporation. When water evaporates from a closed system (your koi pond) it leaves behind most all of the pollutants. Sure, the beneficial bacteria in your pond are busy doing their job, processing those obnoxious chemicals (the nitrogen-cycle), but sometimes the good bacteria can’t keep up, so partial water changes give them a hand in keeping the peace. Unfortunately, poor water quality is one of the major causes of disease and fish death in the koi pond. Less than perfect water quality can be vastly improved with water changes. ‘Topping off’ a pond to compensate for evaporation is not considered a water change because no pollutants are removed in this process. The goal is to reduce concentrations of dissolved compounds in your pond water. Generally, 10-20% of the pond water is drained weekly and replaced with fresh water from the tap or well. But remember before you begin any water change; make sure you have plenty of chlorine remover on hand. Chlorine is toxic to both fish and beneficial bacteria. There are several good chlorine neutralizing products on the market, but verify that the brand you are using also removes chloramines. Many municipalities occasionally use chloramines in conjunction with routine chlorine use. Water changes are instrumental in the control of toxic chemical build up in the koi pond, but did you realize that water changes also reduce pheromones that are becoming concentrated in your koi pond? Pheromones can be restricting your koi’s growth, especially if the pond is housing koi at heavy densities. 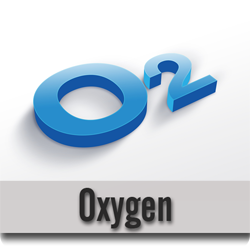 Chemical pollutants and pheromones are best controlled by regular water changes. What are pheromones in a koi pond? Pheromones are chemicals emitted by living organisms which produce a spontaneous response in individuals of the same or other species. Fish commonly use pheromones as a form of communication. However, they are also capable of releasing aggressive pheromones into an overcrowded body of water. These aggressive pheromones suppress the ability of the other fish to fight disease and inhibit their growth. Understanding temperature and water changes. Water has a high specific heat, which means it is able to resist fast changes in temperature. Fish living in water are not used to and therefore un-adapted to situations where the water temperature alters rapidly. So a basic rule in water changing is to do it in a way that minimizes the temperature difference in the pond water; such as adding the fresh water into the last filtration stage where it will be pumped directly into the pond. This will reduce temperature fluctuations as the new water is mixed with the water volume of the entire pond. Major water changes can cause significant shifts in the temperature of the koi pond. Major swings in water temperature can be stressful to the koi, and at times, may be deadly. In general koi do much better when gradually going from cold to warm, but not so well going from warm to cold water. 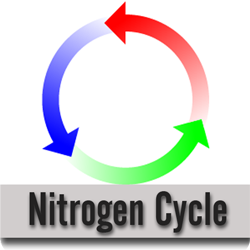 Huge variations in water temperature can also have an adverse effect on the nitro-cycle of your pond. 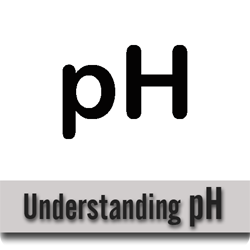 How do I handle an exceptionally high ammonia or nitrite level? 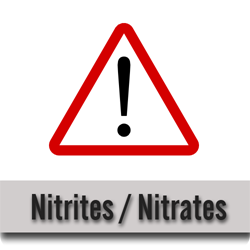 If you encounter a situation where the ammonia, nitrite or nitrate are rising to toxic or lethal levels you should do an immediate water change of at least 30% and up to 50% of the total system. The newly added fresh water will not resolve problems associated with high or toxic chemical pollutants, it only dilutes them to a level acceptable to your fish. Alternatively, in the unfortunate event that your koi are becoming very ill due to extreme deterioration of water quality you could increase the amount of water exchanged to 20-30% daily for a short period of time. How much pond water should I change weekly? Most koi owners aim for a 10-20% pond water exchanged weekly. Partial water changes are the norm and are key to maintaining the koi pond environment. A 10-20% weekly water change is much less stressful to your koi than an abrupt 50% monthly change. How do I do a water change in my koi pond? First you need to drain the fouled water out of the pond. Any water pump, shop vac, pond vacuum will do, even the old reliable syphon-hose will work. A clean plastic trashcan will help you to keep track of the amount of water removed, as well as a good container for dosing the fresh tap water with chlorine remover. Fill the trashcan with fouled water and dump, fill the trashcan with fresh water, treat with de-chlorinator, and dump. Repeat as necessary. Alternately, you can pump the desired amount of water out of the pond and re-fill with a garden hose. Many pond owners dispose of the discarded water onto their garden, lawn or water potted plants. It is recommended to add fresh de-chlorinated water directly to the pond or you can add it into the last stage of filtration where it will be pumped directly to the pond. This will reduce temperature fluctuations as the new water is mixed with the larger water volume of the entire pond. Don't forget that the water is running!! Even the most devout koi keeper may condemn themselves and be brought to tears for the deplorable act of forgetting to turn off the hose. Chlorinated water will burn your koi's gills and they will die within a couple of hours. Set a kitchen timer or tie a string around your finger as a reminder to shut off the hose. Another option is an inexpensive water shut-off valve can be purchased at your local hardware store. Every pond owner should invest in this simple item to protect against an unfortunate tragedy of over-filling the pond with chlorinated tap water which will have a catastrophic result. The cost of an automatic shut-off device is miniscule compared to the value of your koi collection.